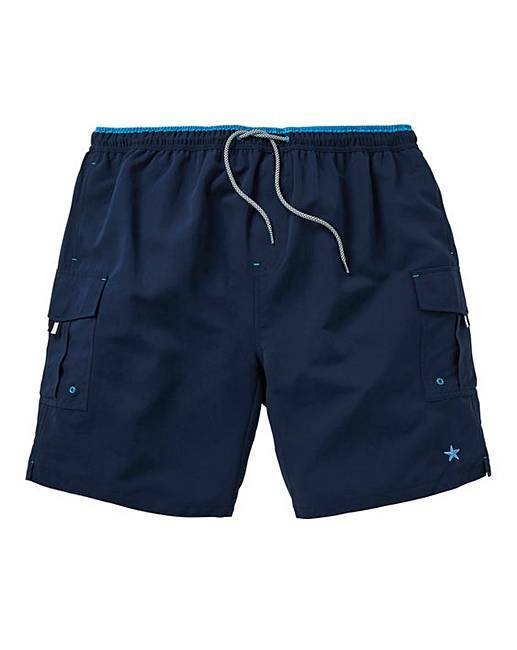 Cargo Swimshorts is rated 4.6 out of 5 by 71. 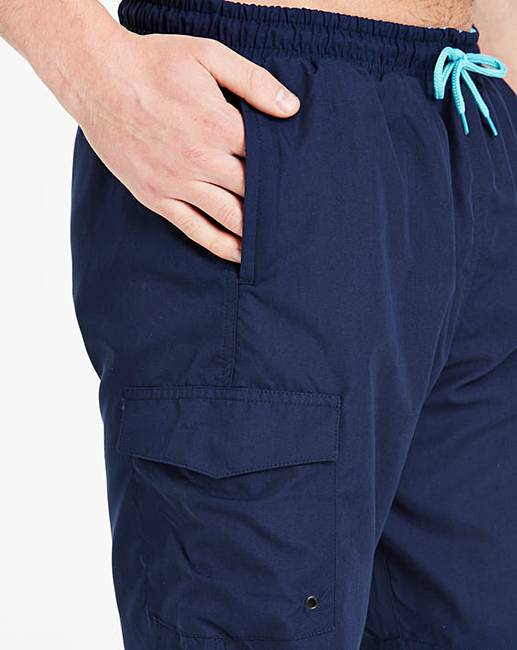 Longer-length swimshorts with fully functioning drawcord waist, two pockets and a cargo pocket to leg. Please note embroidery may vary. Rated 4 out of 5 by Sherbert2626 from Good quality Very happy with purchase. Simple swim shorts for learning to swim. Arrived quickly. Rated 4 out of 5 by Maz from Swim shorts Bought these for my son. Sizing is a bit on the small side but the item is well made . 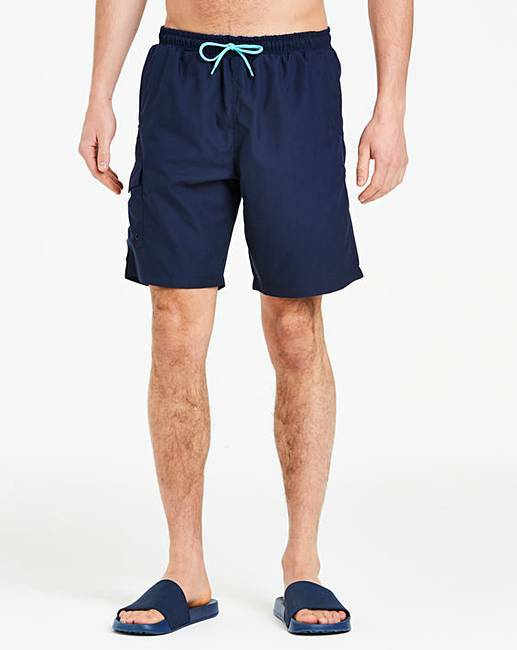 Rated 5 out of 5 by Pops from Roomy I have been looking for a replacement pair of swim shorts for a long time as thats what I feel comfortable in at home and they give you more freedom than conventional shorts. Rated 4 out of 5 by Fat Swimmer from Fit great Haven't bought swim shorts in a good few years but these fit great, are comfy and arrived quickly. Used them a couple of times already and love them. Rated 5 out of 5 by Ken bee from Good sound product Pleased as punch with the swim shorts of fine quality and fit.